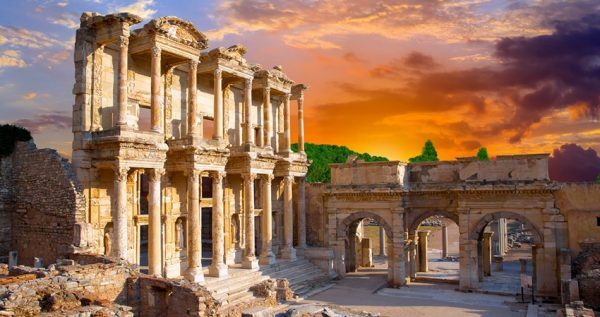 If you’re up for some terrific sightseeing and a unique walk through ancient past of one of the greatest civilizations in the human history, our marvelous Turunc Ephesus Tour is exactly what you need. 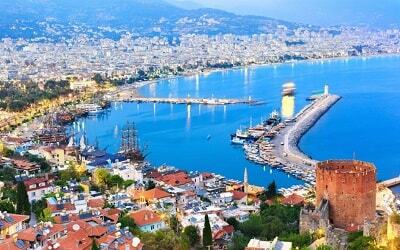 You can walk on the streets where Alexander The Great walked, visit the ancient structures of Roman Empire and learn about Greek Mythology. Our tour to the ancient city of Ephesus stars with the pick up service from your hotel. 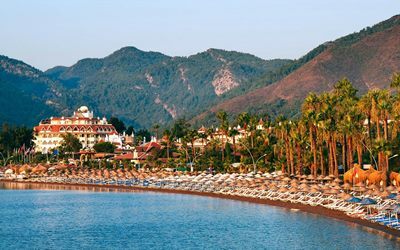 After one hour, we will stop at the province city of Mugla and have a delicious open buffet breakfast at the lovely local restaurant. 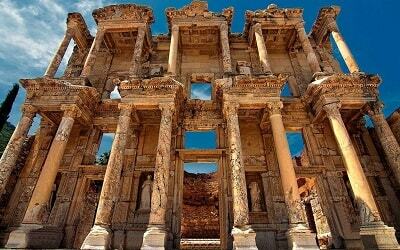 Then, we will continue our trip to the great ancient city of Ephesus. 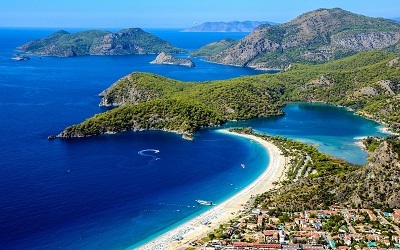 During this lengthy drive our experienced, professional, English speaking guide will give you some basic information about the program of the tour, as well as our destinations. 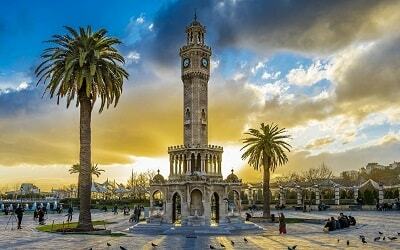 We will also take a break in the charming town of Selchuk, famous for its Turkish delicacy factory. There you can taste delectable Turkish deserts, such as crusty, juicy lokma, peanut covered sambali cake, sticky and delicious sekerpare, and so much more. 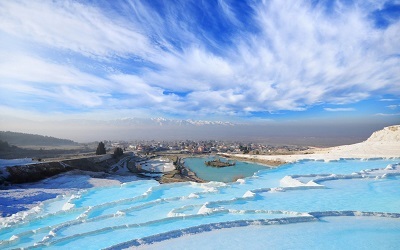 This comfort break is neccesery for preperation before entering ancient city. After our tasty visit is over, we will head to legendary Ephesus. 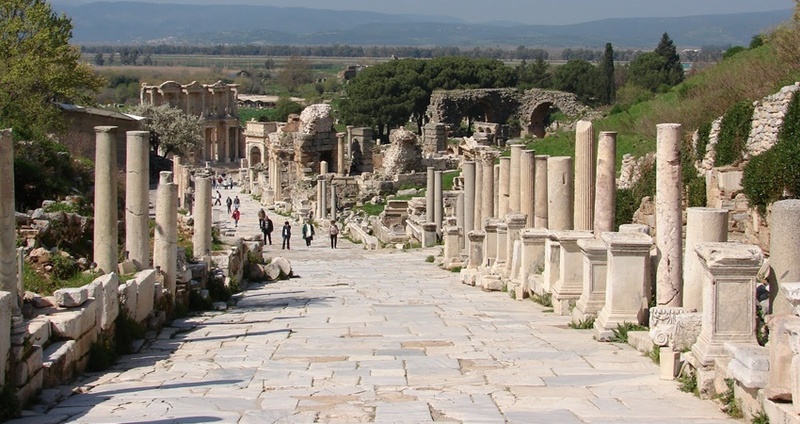 Once we reach the great Ephesus, we will continue our tour on foot. 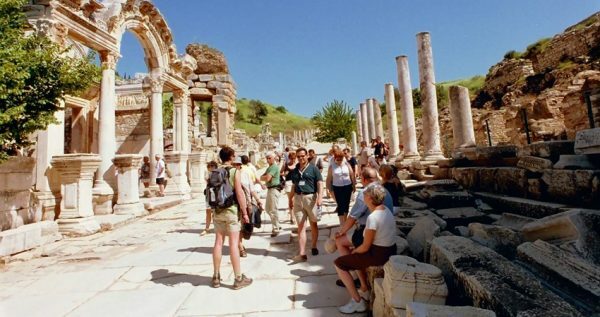 During our walk through the ancient city of Ephesus we will come across with impressive ruins such as The Odeon, State Agora, Temple of Hadrian, The Prytaneion, Domitian Square, Hercules Gate, The Fountain of Trajan, Curetes Street, The Arcadian Way, Celsius Library, The Gymnasium, The Grand Theatre, and much more. All of these monuments are very well preserved and they remain a beacon of Christianity, and a great reminder of the history of this magnificent ancient city. After our visit to the ancient city of Ephesus we will have our lunch break at Selcuk. The day contiues after the lunch. 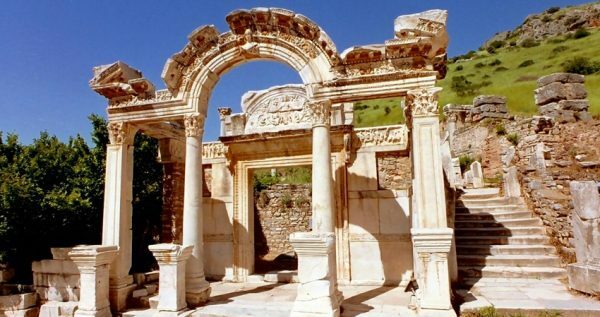 In the afternoon you will have the chance to visit the remains of the magnificent Artemis Temple. 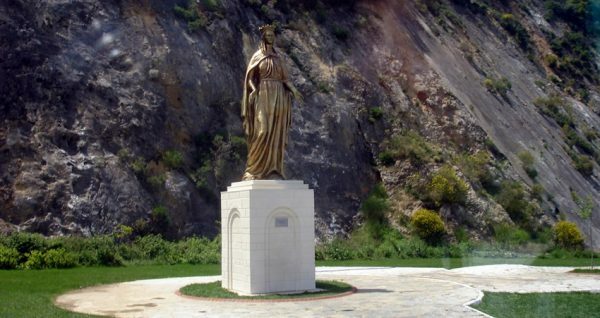 This temple was built to honor Artemis, one of the highest and most powerful of all Greek deities. Artemis was the goddess of hunt, chastity, virginity, moon, and nature. Artemis Temple is one of the seven wonders of the ancient world. We will also visit the House of Virgin Mary. 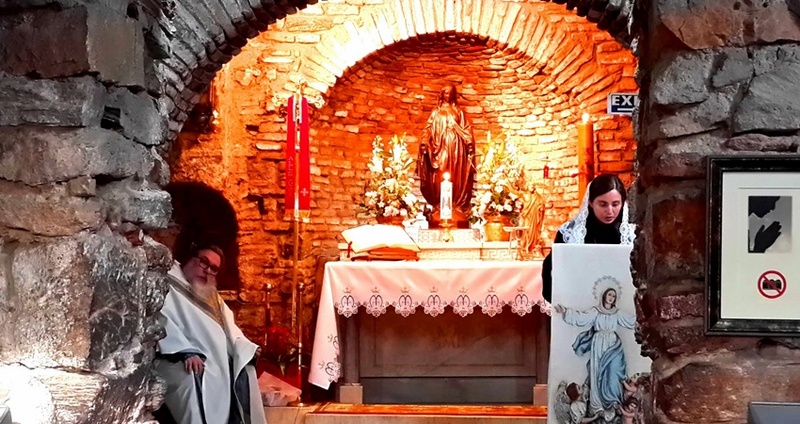 In some historical writings it is stated that St. John brought Virgin Mary to Ephesus after the death of Christ, and there was a small house built for her on Bulbuldagi Mountain. This wonderful site is believed to be the last residence of The Blessed Virgin Mary. 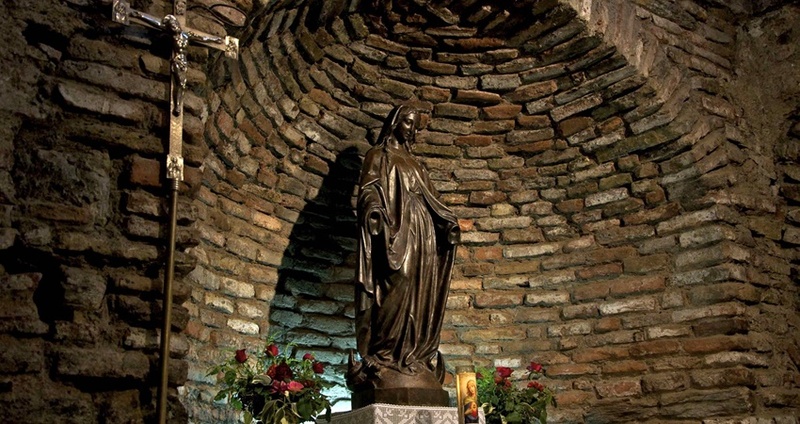 The House of Virgin Mary was declared to be one of the centers of Christian pilgrimage. 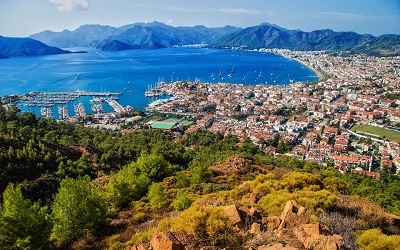 Once this great educational tour is over, you ill be taken to Marmaris bus station, where you can catch next dolmus back to Turunc. Make your reservation on this wonderful tour and give yourself an opportunity to learn more about the past of this great country you chose as your vacation spot. 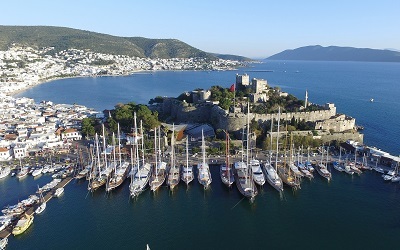 Turunc Ephesus Tour starts early in the morning, so we have arranged a delicious breakfast in a charming local restaurant in the province of Mugla. You will also get to choose between a refreshing drink, a cup of tea or coffee. This meal is included in the primary tour price. 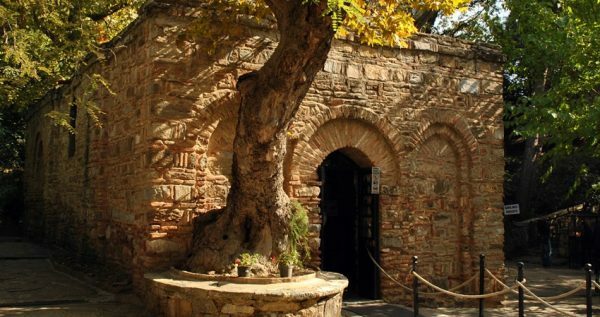 After breakfast, we will continue our trip to Ephesus. You will be traveling in our cozy and spacious busses, equipped with air-conditioning and toilets, so you don’t have to worry about our trip being unconvenient. We will also arrange for some refreshments during the trip. Once this lengthy but pleasant journey is end, we will start our marvelous visit to the ancient city of Ephesus. 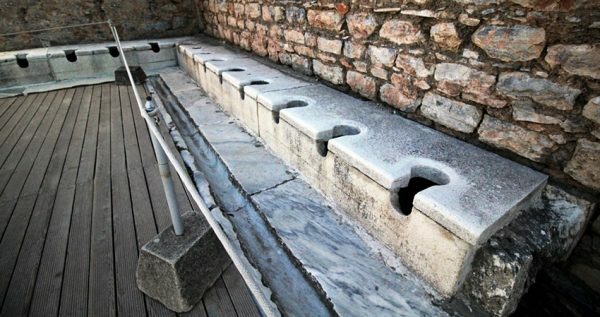 Our visit to Ephesus will last for about two hours. 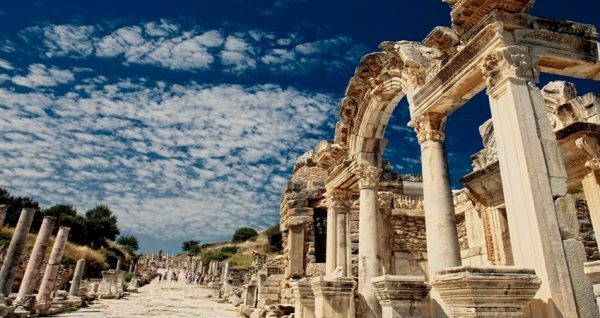 You will get to take a walk through the past of one of the most powerful ancient civilizations in the history of mankind. Our English-speaking guides will be there with you telling you stories and legends about this once great empire, as well as some amazing historical facts. 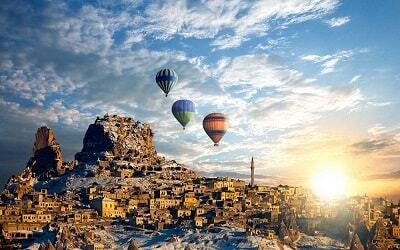 You will be able to see some astoundingly well-preserved remains of this great ancient city. Within Turunc Ephesus Tour, we will have a delectable open buffet lunch in a modern restaurant nearby. 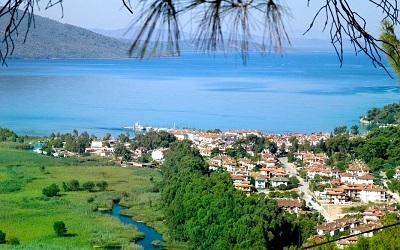 You will also get some free time in the charming town of Selcuk. 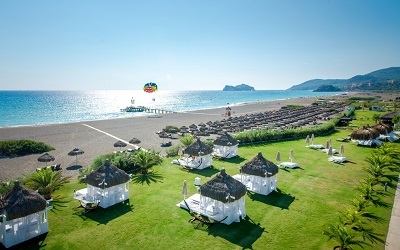 You can opt to relax and have a refreshing drink at a local cafeteria, or explore some amazing historical sites, such as: museums, The Temple of Artemis or The House of Virgin Mary. 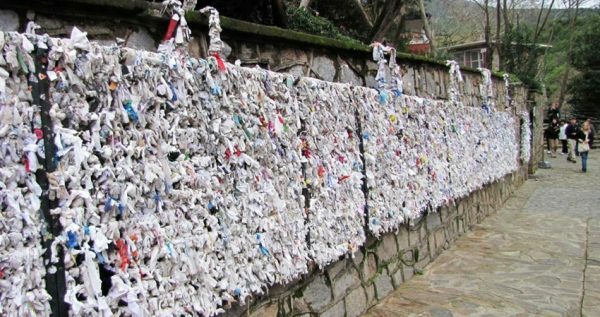 Our guides will give you all of the necessary information about these sites, so you can choose which one you want to visit. 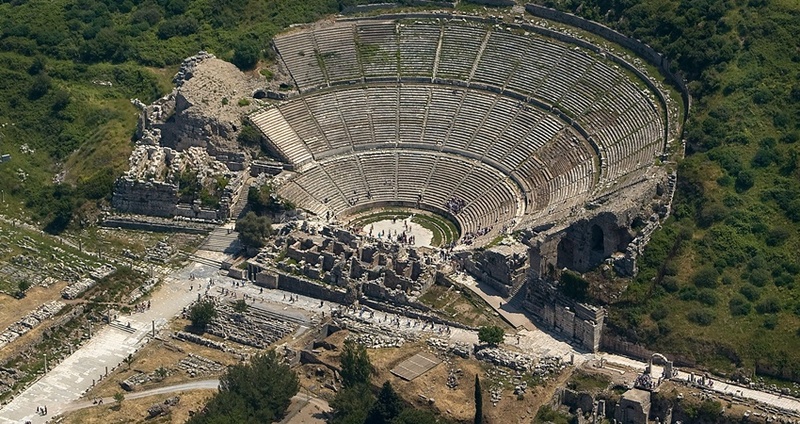 Turunc Ephesus Tour is over at around 19:00. 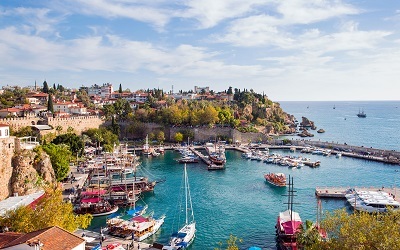 Our driver will drop you off at the bus station, so you can catch the next dolmus back to Turunc. Another option to visit Ephesus is the 2 Days Tour From Turunc.